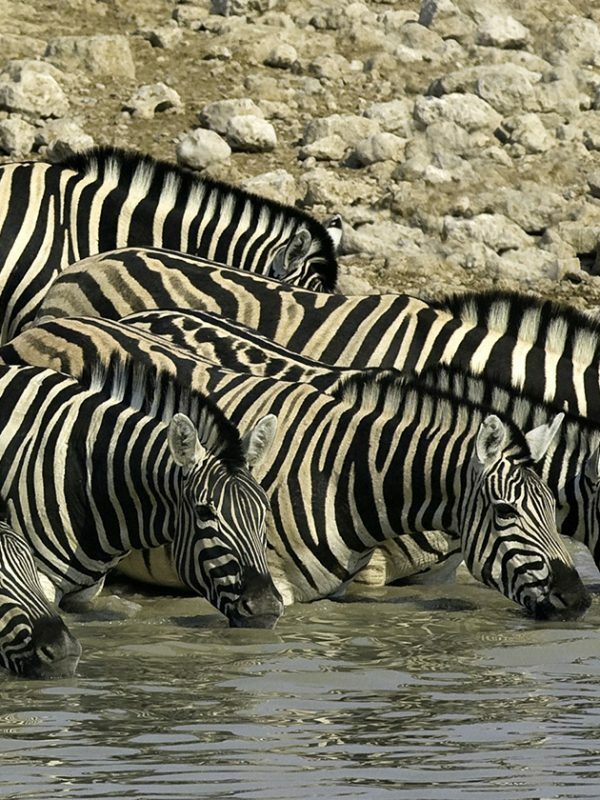 A safari in southern Africa is enchanting, even for seasoned travelers. Journeying through the bush with heightened senses, you encounter lions, giraffes, kudus and rhinos. You stand speechless in front of gigantic waterfalls or sand dunes almost as tall as the Empire State Building. 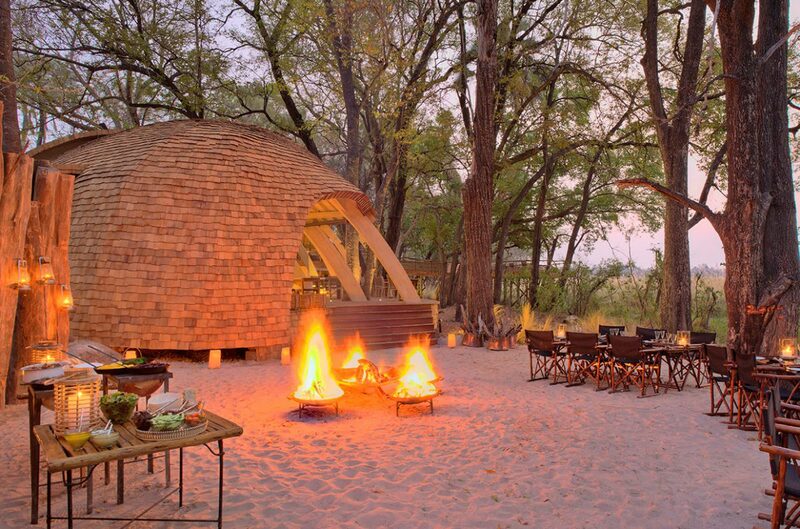 At night, desert camps and luxurious lodges await. All of a sudden, they appear on the barren ground of the Namib Desert: alert, their heads with the black-and-white face markings raised, their V-shaped antlers protruding from their skulls. The oryx antelope features on Namibia’s coat of arms. It is a majestic creature that can survive in the driest deserts, because it can go for days, even weeks, without water. 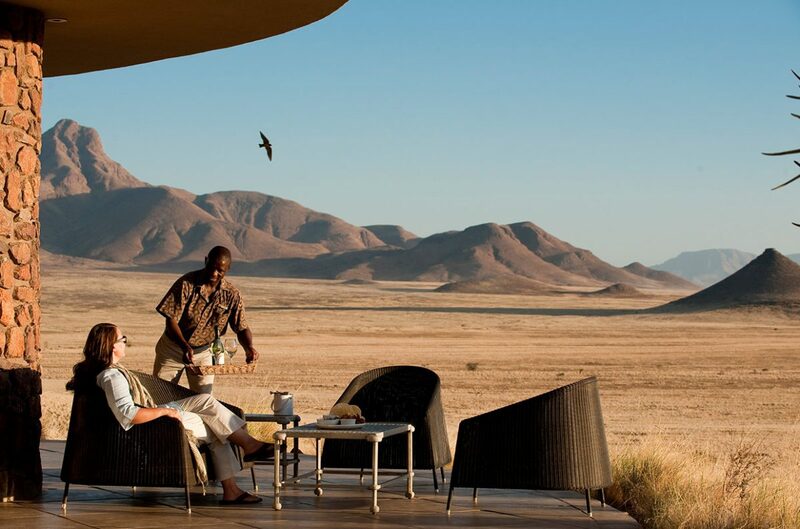 On the way to the Sossusvlei Desert Lodge, you can catch your first glimpse of these animals. Some are on their own, some in groups, like the females with their calves. Ostriches are also in evidence, the color of their feathers as ashen as the ground in the afternoon. Every three months or so, a leopard can be spotted loitering in the area, say the guides. It, too, is very difficult to discern on the rocky ground around the lodge. To many Europeans vacationing in southern Africa, a safari means a journey into the exotic, the unknown, while to many locals it just means taking a trip. This is, after all, the literal meaning of the Swahili word. A safari is the experience you have on the way from one place to another. If you spot wild animals – great. If not, don’t worry. Animals aren’t the sole reason for visiting Namibia. Rather, it is wanting to experience the unique combination of primeval landscape and Nature’s savage vastness. It is hot all year round. Rain is very scarce, meaning that many regions are almost devoid of human beings. The mountains rise dramatically, but also seem to yield to the gigantic sand dunes, which in turn ebb away smoothly into the waters of the Atlantic Ocean. Observing this spectacle in Namibia is like watching the birth of the planet, every day. It takes time for your eyes to adjust to the vastness. At first glance it seems hostile to life – and at second glance you realize how good it is for the soul. Those who have scrambled up the 325-meter Big Daddy dune will never forget the incomparable feeling of looking from the ridge into the sandy infinity and onto the undulating emptiness that seems to expand into the distance. Taking a balloon trip along the edge of the dunes towards the sunrise in the early morning will teach you to put down your camera and simply enjoy the fiery red spectacle. Thousands of kilometers further north and in greater isolation still, lies the Serra Cafema Camp. Here near the border with Angola, the barren Martian-like landscape is equally impressive. There are sand dunes, rocky deserts and canyons in which the Himba tribe have lived for centuries. They erect their huts in circular settlements and cover their bodies with a reddish paste made of pulverized iron oxide, butterfat, herbs and the resin of the omuzumba shrub. They breed animals and engage in small-scale subsistence agriculture. On the banks of the Kunene River, where the camp is located, defiant vegetation is growing in the middle of the arid surroundings. A few crocodiles live here, but they are not as large as elsewhere on the continent, where there is an ample supply of prey. Cautious springboks, and a couple of oryxes, graze on the few shrubs. In the evening the light is reflected by the smooth waters of the river and the Himba sing songs in their language, which features lots of clicks. The wilderness answers only with complete silence. For visitors, this takes some getting used to. Our subsequent arrival at Etosha National Park couldn’t be more different. There are jeeps and minivans full of people everywhere, and around them, countless animals. Thousands of guests visit the enclosed, 22,000-square kilometer park each year. Permanent roads lead through the terrain and at night the barriers are lowered. Outside the gates, in the Little Ongava Camp, people relax and enjoy their gin & tonics. Sometimes lions visit the nearby water hole, but the entire scene is clearly more touristy. At the heart of Etosha lies a gigantic saltpan, which dries up totally for months but then, during the rainy season, can sometimes fill all the way up. The park is as uncompromisingly flat as a tabletop. It seems as though the colors hide away from the sunshine in the daytime, and only come out to paint the landscape in elegant hues at sundown. You can see countless animals here: zebras, giraffes, kudus and springboks. Sometimes a rhino jostles in among them, or a herd of elephants marches by majestically. A two-hour flight from Namibia’s capital Windhoek takes you across the border to Botswana. The Okavango Delta boasts an abundance of all the things that are lacking in Namibia. Instead of earth-colored vegetation and trickling rivulets, there is lush greenery at overflowing watercourses. 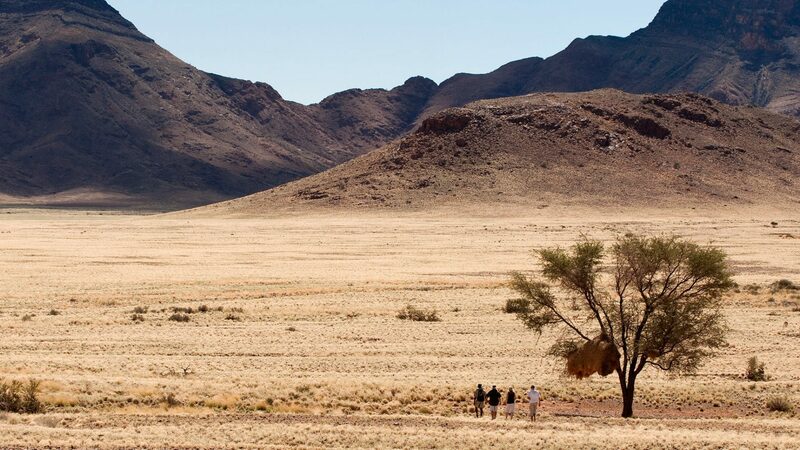 While in Namibia the eye can explore the distance, here one’s senses are heightened and focused on nearby features. Behind any shrub, there may be animals waiting: a pack of wild dogs over there, a herd of antelopes here, a somnolent leopard dozing in a tree or hippos grunting in the water. African fish eagles circle above the delta uttering their distinctive cries. And occasionally, you may find a pride of lions blocking your way into Sandibe Camp. 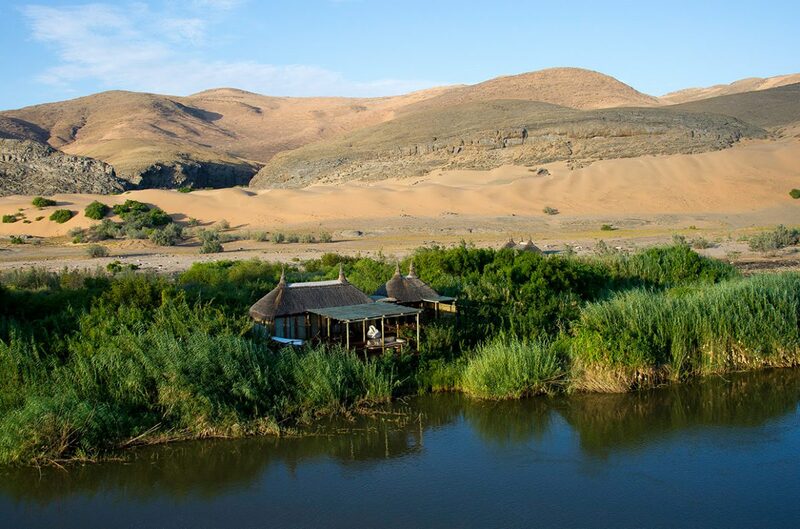 The camp itself is built on wooden pillars and is made of lots of curved beams and thick guy-ropes – luxury in the middle of the African wilderness. There are no fences, instead the guides take each guest to their respective bungalows. 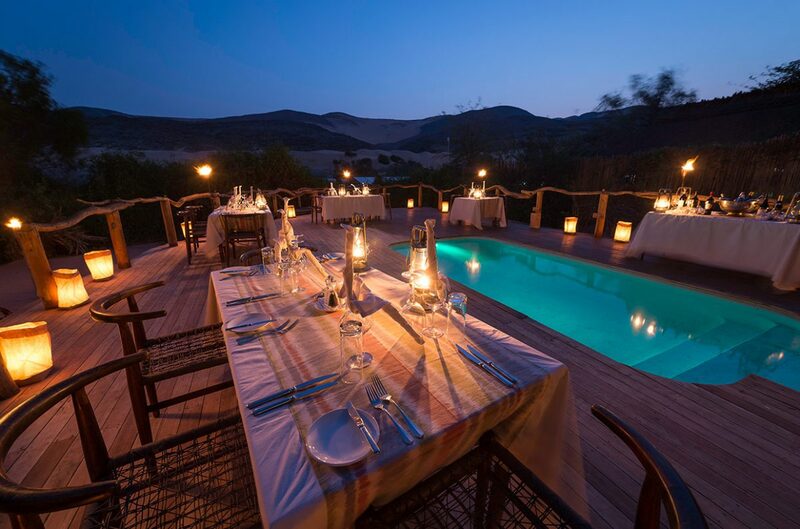 In the evening, the chef lights a campfire, barbecues meat and prepares salads. That’s when an elephant drops by, eager to understand what’s going on. It rubs itself on its favorite tree and causes havoc among the bowls and saucepans. After 45 minutes, its curiosity satisfied, it walks off. The elephant meant no harm – it was more of a social call. Under Africa’s vast skies, it is customary to share. We travel to the final destination on our tour: Victoria Falls. Fed by the waters of the Zambezi River, the falls are located on the Zambia-Zimbabwe border and are among the continent’s most impressive natural spectacles. Even the giants in the nearby Elephant Camp cannot compete with the roaring force of the waters. The guided tours along the falls are especially worthwhile as they allow you to experience the power of the elements – foaming, thundering spray – more directly than the view from a helicopter would. You can literally feel the cool splashes land on your face. 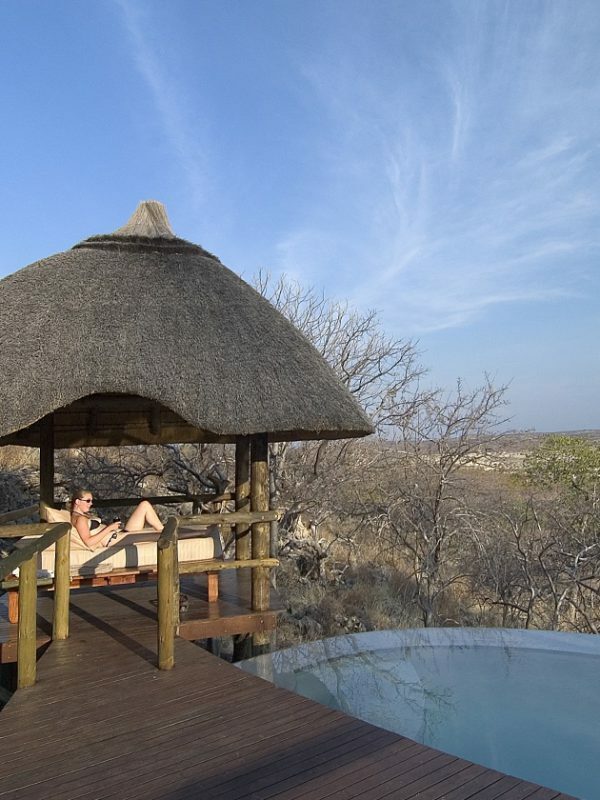 It is the perfect way to remember the wonders of southern Africa!